Super Eagles coach, Stephen Keshi, has said the door to the world Cup is open for Osaze Odemwingie, but insisted on a talk with the striker. Keshi and Odemwingie were involved in a highly publicized row during which the Stoke City striker took to social media Twitter to blast the Eagles handler after he was sensationally left out of a 2013 Africa Cup of Nations training camp in Portugal. A bitter Osaze will go on to quit international football, but later rescinded the decision. 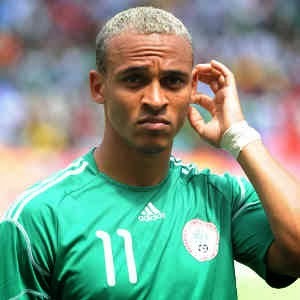 “Keshi has said the door is still open for Odemwingie, but he will need to talk with the player before he could recall him to his team,” a top official informed MTNFootball.com. “He said this while defending his squad list for the Mexico friendly before the technical committee. Odemwingie last played for Nigeria two years ago in a 2013 AFCON qualifier in Rwanda after which he went on a tirade when he was substituted.